300,000 Bottles Of Wine Live In This Old, Underground Rolls Royce Dealership — Drink | Dine | D.C. This article originally appeared on DCist. One of D.C.'s best-kept wine secrets is housed beneath Connecticut Avenue in an old luxury car service shop. And it's not a flashy new wine bar or liquor store—it's a storage facility. In Van Ness, there's a back alley on Connecticut Avenue NW, sandwiched between a dated residential building and the backside of a nondescript retail park off Veazey Terrace. 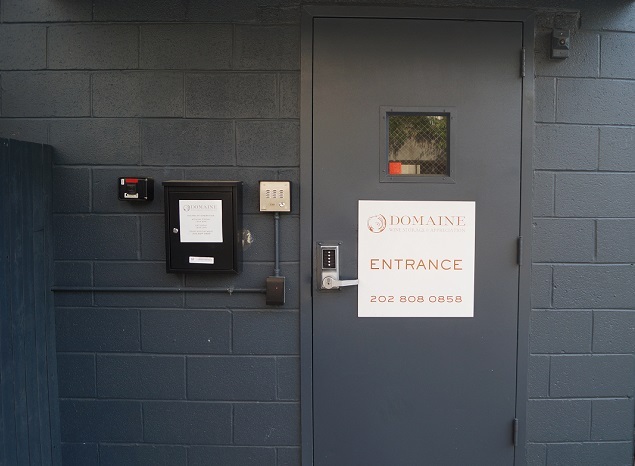 Keep going past an electric vehicle station and some loading docks, and there you'll find the unassuming entrance to Domaine Wine Storage, which is nestled within one of the city's most unusual business locations. The underground warehouse long ago housed a service department for a family-run Rolls Royce and Pontiac dealership named Flood Pontiac. The business was founded in 1933 and closed down in 1980 due to slumping sales. What was once a ground floor showroom now houses several shops, including a sushi restaurant. Below the surface, cars have been swapped out for vintage bottles of wine. The D.C. location opened in 2012, a part of Domaine's national network of facilities that stretches from coast to coast. The site caters to everything wine loves—no harmful sunlight and a thermostat that hovers around a cool 55 degrees Fahrenheit and 70 percent humidity. Domaine co-founder Marc Lazar, who is originally from Silver Spring, says he spent a couple years scouting warehouse locations in D.C. The Connecticut Ave space looked essentially untouched when he began cleaning it out five years ago. No one had used that space in more than 30 years. But Lazar didn't find any luxury cars left over—just a ton of grease, scrap metal, and hydraulic tanks. "It was months of power washing and sand blasting," he says, quipping that you could have set up a haunted house in there when he started cleaning. Read the full article in the DCist archives.